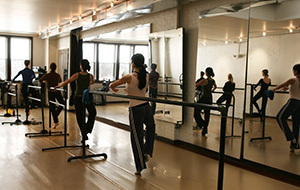 A dancer of any calibre can face pressures in the dance studio, from themselves, their peers and even their dance teachers. Pressures can take hold in many forms, such as healing after injuries, aspiring to create the ‘ideal’ dancing body shape and changes in the behaviour of dance teachers. Each has an effect on both your dancing and performance, hindering the creation and maintenance of a healthy mind and body, which is paramount to excelling in and enjoying dance. Often teachers can appear unfriendly and cold, not offering encouragement or help to young dancers. This can stem the enthusiasm a young dancer has for dance and can be detrimental to their progress as a dancer. A dance teacher’s decision to teach is a result of wanting to pass on their knowledge and aid other dancers, so erratic behaviour can often seem odd. They can be overly critical of your work however they usually have many students they are working with at one time, so try not to take their attitude personally. While there are often jarring relationships with dance teachers, this can also occur on a personal level with yourself. Aspiring to be a thin waif-like dancer is unhealthy and can lead to dieting, starving and an eating disorder, which can ultimately be dangerous. Fortunately, there is now more emphasis on creating a strong body which is fit and ready to take on the challenges of dance, not likely to collapse afterwards. Teachers are now more focused on healthy eating to prevent disorders, and promote dance alongside wellbeing for the body and mind. Similar pressures of this type on the self can also occur as a result of injuries, especially those that are slower to heal. As a dancer the mentality is to power through the class whatever the cost, due to lifelong mantras such as ‘the show must go on’ and ‘no pain, no gain’. An ethos of this sort is now becoming less common, as ultimately it is of the upmost importance that the body and mind heals following an injury. Despite a lifelong dream of performing on stage night after night, the hard reality for dancers is you may not fulfil this. This can be for a number of reasons, whether you are injured or are simply feel drawn to another lifestyle. After maintaining these dreams, and even a stint of performing, there are a number of potential options you may wish to pursue. Dancers are resourceful and disciplined, having gained a number of relevant and useful skills during training and performing. You may wish to become a choreographer or director, or even a casting director, having the last say in who performs what and when. Your dance knowledge is integral to your craft and the industry, so this is often a natural step for professional dancers. You may even want to step behind the scenes entirely, and become part of the wardrobe, stage management or part of the production crew for a theatre or company. Roles like lighting and set are also appealing to ex-performers, as they have an innate knowledge and sixth sense of the theatre; it is an equally artistic pursuit with creative fulfilment. Remaining in the office might be more suitable to other professional dancers: management and administration are essential to dance companies and organisations through a number of roles, ensuring the companies make it into the stage and the audience make it into their seats. Other dance and arts institutions also need arts administration to ensure they run smoothly, from marketing and finance to programming, in organisations such as theatres, dance foundations and museums. If you still yearn for physical pursuits, you may be more suited to roles such as a Pilates or yoga teacher – which complement dance training – or a massage therapist to help people to relax and restore their bodies. Alternatively you may become a fitness instructor or personal trainer, with some extra training. If you don’t want to give up the physicality of your career, fitness is an excellent alternative avenue, with dance based fitness classes rising in popularity. Simply teaching dance, however, is also just as fulfilling in passing your knowledge on to a future generation. Dancers cannot just be fit to dance. Dance fitness in itself is not as wholesome as if the body undertook a wide range of physical activities to maintain fitness as a whole, whilst complementing that obtained through dance. Many dancers are fans of swimming, as it maintains stamina and works the muscles of the entire body in a low-impact way, as much as Pilates helps to keep the core strong with little to no impact. If you are not currently working in dance and auditioning widely, it is important to keep your body in peak physical condition so it is constantly ready to be used to the best of its ability. Auditioning in peak condition shows directors strength and provides the confidence to attack any movement. It is difficult to anticipate how vigorous auditions will be, so being as fit as possible prepares you for anything. In this instance, cross-training is of ultimate use. Integrating cardio training into your workout schedule boosts energy and complements the requirements of dance with its short bursts of activity. Additional training, through extended cardio sessions for example, then improves endurance for full-out dance combinations or longer variations. The body will also be able to recover quicker afterwards, providing more peace of mind during intense auditions. 30 minutes of cardio a few times a week is usually what is recommended, however interval training is even more beneficial than steady paces, as high intensive intervals closely mimic the varied aerobic demands of dance classes and auditions. Working with your body in different ways can help to identify weak and imbalanced areas, and means your body is ready for anything, not just the dance technique you have trained in your whole life. A variety of exercise techniques will improve overall strength, especially to keep the body active and attentive to changes, adapting quickly. However, do be wary of letting your cross-training become overly time-consuming or draining on your number one priority of dance, instead of complementing what is already taking place. Avoid overtraining and take one day off per week for rejuvenation. We are all aware of how good dance is for us. 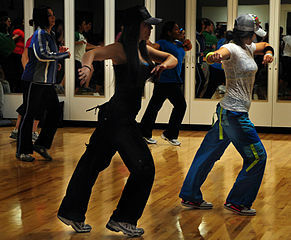 As a non-verbal method of communication utilising the body’s movements, often to music, there are many dance styles practised around the world. Originally these would have represented different ways of life, different cultures, ethnicities, belief systems, social structures, and traditions, but today it seems all dance styles are danced everywhere! It is arguable too that the individual and communal benefits of dance go far deeper than the common perception of dancing just for fun. Alongside the beneficial physical expression of dance, the emotional, mental and physical health benefits of dance are too interrelated, and are key to personal development. Warming up, stretching and the actual physicality of dance aids our fitness and wellbeing, as well as releasing endorphins to boost our mood. Dance – as a cardiovascular activity – improves circulation, boosts memory and increases energy levels, as well as improving flexibility and toning that body. Beyond advantages of dance for the body, dance also develops personal skills and character building for children at an early age, elements which then transfer to other areas of their lives later on. Dancing teaches discipline, consistency, perseverance and creativity, and encourages them to express themselves artistically. Dance is something which is very personal to each individual, and connecting with the self is something which can also come from dance. Dance is for everyone, and everyone can benefit from the positives of dance. Age and social circumstances are trivial in terms of dance: even on a basic level it keeps us fit and happy, and also promotes engagement with others. It contributes to us physically while giving us another way to communicate what is on the inside, and express our feelings through bodily movements. Do your knees hurt when you land from a jump, go downstairs, do grands pliés, or sit with them bent for long periods of time? “Jumper’s knee” could be the problem, a strain of the patellar tendon that runs from the lower kneecap to the upper shin. It is common in male ballet dancers and basketball players, who also jump a lot. Other problems with the patella include pain from subluxation, where it goes out and back in, and dislocation where it goes all the way out and stays out. These conditions are common in adolescent females with hypermobility, especially in ballet dancers who turn out from the knee rather than the hip. 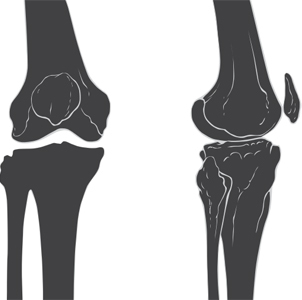 The juvenile version of the Jumper’s Knee, occurs at the other end of the patellar tendon, where it attaches to the growth plate, which is called Osgood-Schlatter’s Disease. It is a condition often seen in young (mostly male) athletes where they strain the attachment of the patellar tendon at its insertion to the growth plate on the upper tibia. It forms a swollen, tender lump below the knee and is related to running and jumping. It tends to come and go but disappears when growth is over. In Jumper’s Knee, the pain usually comes from a specific point in the attachment of the tendon to the tip of the patella and not from the knee joint itself. 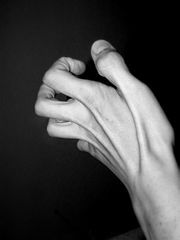 Most of the time it is a chronic, ongoing condition that slowly gets worse with time. The diagnosis can be confirmed by injecting local anesthetic into the sore spot: if it relieves the pain, then the diagnosis is confirmed. It occurs from tightness of the quadriceps mechanism and weakness when the muscle lengthens as you plié. The condition is usually due to one part of the tendon that has pulled loose from the patella and has failed to heal, and must be treated. The key principles of alignment will help to prevent dancers from getting injured; during ballet classes you may hear, “knees over toes”, “turn out from the hip” and “don’t curl your toes up” but the principles are the same for any dance discipline. Keeping your legs strong and aligned properly means you are using them correctly and have less chance of injury. When correcting alignment, begin with the hips. All rotation must come from the hip joints, not the knees, ankles or feet. 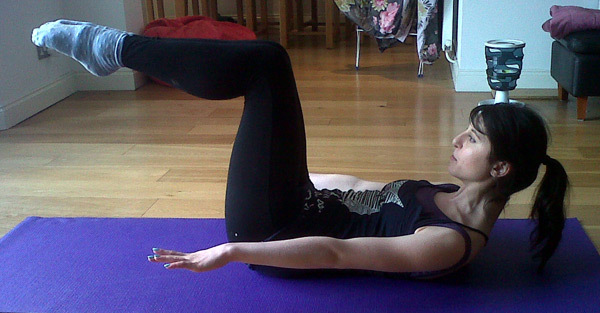 The pelvis must be neutral, which is the safest position to work from. If the hip bones are forward, they are in an anterior tilt with an arched lower back; if they are titled backward the hips are in a posterior tilt, and tucked under. The knees should match the direction of the toes, which can be checked during pliés – the knees should track over the toes and the feet should not be rolling in. It is important to keep the feet strong – imagine the foot is nailed to the floor, through the heel and each side of the ball of the foot. This reduces risk of injury and prevents the feet from rolling, which is especially important en pointe. The toes should be straight and lengthened on the floor which encourages articulation and secure, correct pointe work. When the dancer moves to demi pointe, ensure the work is not sickled by continuing to lift the arches. The weight should be centered over the first two toes to help strengthen the muscles on the outside of the ankle, and guard against ankle sprain. Once the legs and feet are aligned correctly, it is important to keep your weight over your toes, and not to swing back into the heels. Don’t lift the heels, but ensure your weight is in the balls of your feet ready to move. In maintaining your health as a dancer it is important to consider all of the aspects of health which are equally as important as each other. For example nutrition through food and drink is used for the body’s every function, from muscle contraction to nerve impulses, with many nutrients taking on more than one job in the body. For instance, calcium is well known for being a hugely important part of bone health but is also critical for creating an electric impulse that travels down a nerve, and for allowing a muscle to relax after contracting. Make sure the body is not overworked by doing too much too soon, and make physical changes gradually. Research has found that dancers tend to get injured when they have a dramatic change in their workload, either a rapid increase in the amount of dancing or a quick transition to a new style of dance for which the body is unprepared. Introduce your body to the change by taking time to increase the volume and/or intensity of physical load. This could mean gradually increasing the number of classes or styles you take or it could be increasing the number of repetitions of class combinations. Cross-training also aids the body, simply because dance is so physical and dancers need to behave more like athletes when it comes to conditioning. A great way to make sure you are maximising physical potential, and reducing opportunity for injury, is by exercising in ways that are unlike exercise through dancing. This can improve cardiovascular endurance, muscular endurance and muscular strength. The same muscles are used over and over through technique classes or specific repertoire, and there is little chance to improve the strength and endurance of the muscles that are not critical for current work. Make sure you rest too! Rest is the time the body takes to heal and improve function. If you are feeling exhausted, decrease the amount of dancing or replace it with low-impact activity like Pilates or floor-based barre. Rest is necessary to prevent fatigue, which is a major factor for injuries and one of the most preventable. Rest is also important for your immune system so help your body boost immune functions by getting enough sleep. Image courtesy of Adria Richards. Regardless of your favourite dance discipline, it is important to maintain your practice in other dance forms to both complement and balance your training. Whilst one discipline may be concentrated on, it is beneficial both physically and mentally to take part in other dance forms other than your main interest. Many teachers encourage their students to try everything to ensure their dance training is well-rounded and dance interests are well-informed. The more dance styles and dance knowledge you have under your belt, the better! Once dance students begin to venture into dance careers, the different dance styles lend themselves to performances in different ways, and can even influence the roles you are cast for and whether you may have a role created on you in the future. Having a multitude of dance skills at your disposal means dancers are even more of an asset to the dance companies they join. Dance companies demand a lot from their dancers, so the more you can offer, the better. 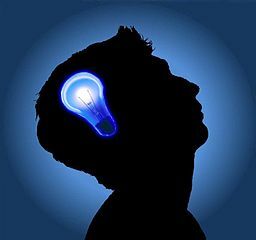 Despite this, sometimes extreme pressure is placed on the body (and mind) when something completely new is required. Different styles to what you are used to can be difficult to get used to, but by cross-training your body, it will become easier to manage these changes. Daily class is one of the best ways to cope with the extremes of different styles, as it warms the body up and prepares it for the day ahead. Keeping the body strong and confident is important, so eating well and looking after your body outside of the studio is also vital to succeeding. Don’t forget that the opportunity to work on lots of different things in lots of different styles is the best way to develop as a dancer, and keep on learning!